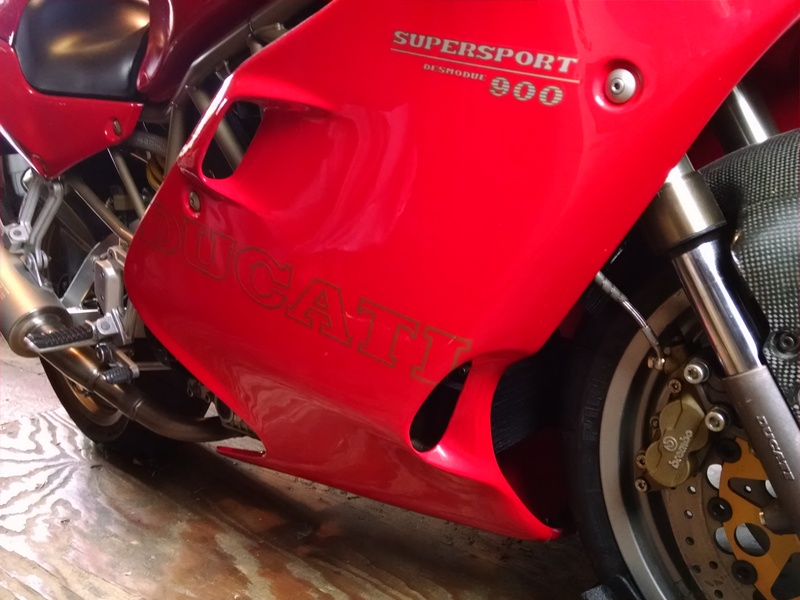 I am selling my 1997 SS/SP # 025. This is a beautiful example of the last year of the red, 1990s era SS. 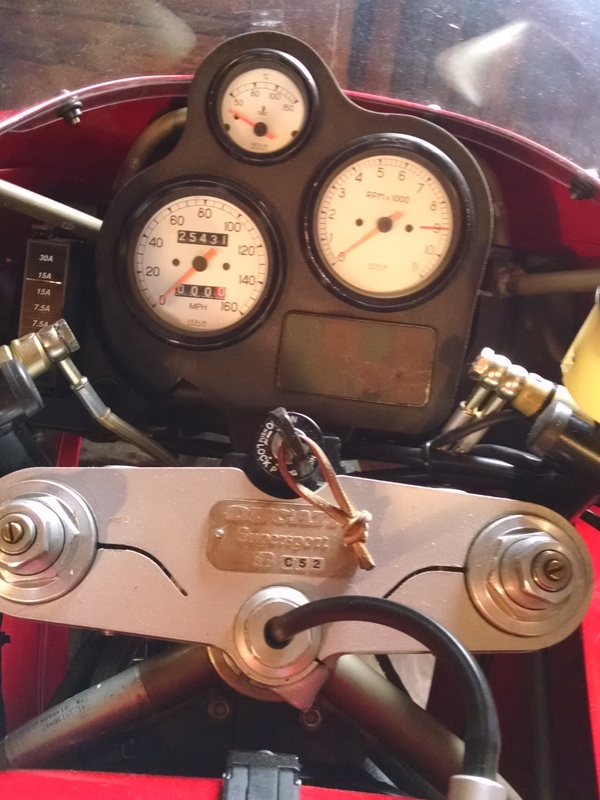 The bike has been well maintained and cared for, and is in great shape. All maintenance is up to date. 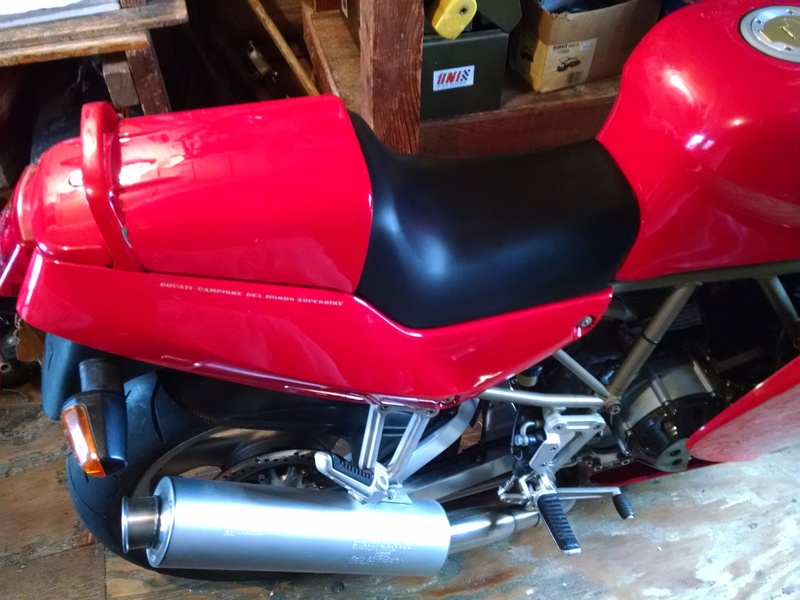 The bike is mostly stock, and all original parts were saved. It has the strong head bolts, a replaced frame (original cracked at the steering head), and the oil gallery plug has been replaced. The engine has 11:1 FBF pistons, valve guide seals replaced and valves lapped, Keihin FCR carbs, a Nichols lightweight flywheel and titanium engine mount bolts, carbon fiber cam belt covers, MBP colletts, Dynacoils and NGK heavy duty plug wires, upgraded starting wires, and an EVR billet clutch with CycleCat pressure plate and vented carbon fiber clutch cover. Plastic and original paint are in excellent shape. Pirelli Corsa III tires. The bike runs very strongly and has been quite reliable. Approximately 25,000 miles. Asking $4,000. I think it's well worth that. Call 307-733-3626 for more info. 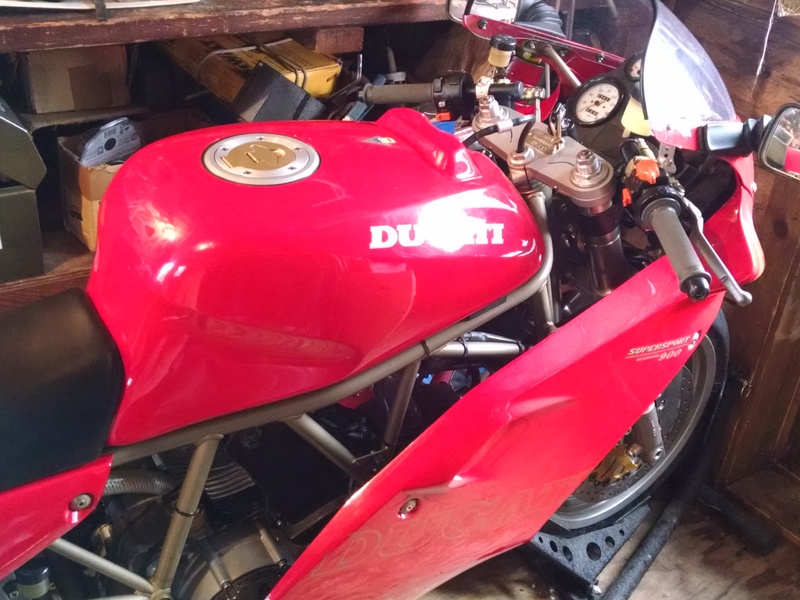 I don't have any decent pictures and I can't get the bike out of the storage shed yet to take good ones (too much snow still!). I have included a picture from Google images that looks like it. I will try to take and send pics if you are interested. Bike is located in Wyoming and I can deliver it if you are nearby. That didn't take long. Beautiful bike, hope she went to a good home!